I had purchased a bunch of mint to make mohitos. Unfortunately I don’t drink enough fast enough and ended up with fuzzy green mint leaves. 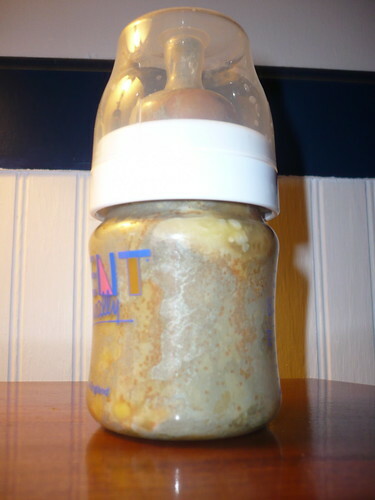 We found this bottle in the bottom of a rarely used diaper bag. Fortunately, the bottle hadn’t been washed out. Now we get to enjoy the green and reddish molds that grew brilliantly inside. 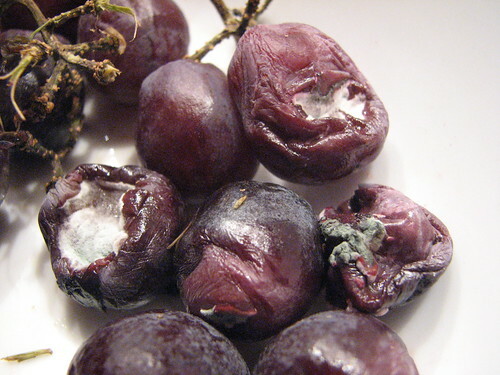 Dan sent along these wonderful moldy red grapes. They are much closer to a dark purple in color with only a red tint. 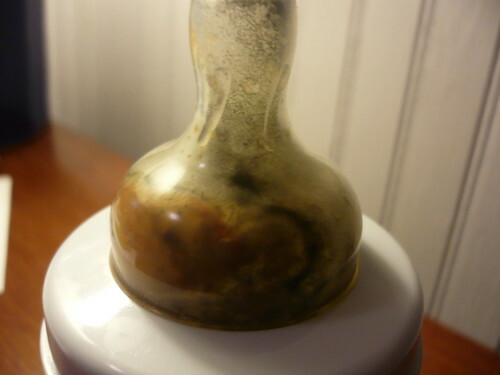 Each appears to be full of a creamy white puss like mold. One is oozing an even more disgusting green substance. Tim sent along this great shot of a nearly full package of hot dog rolls in a stunning green. 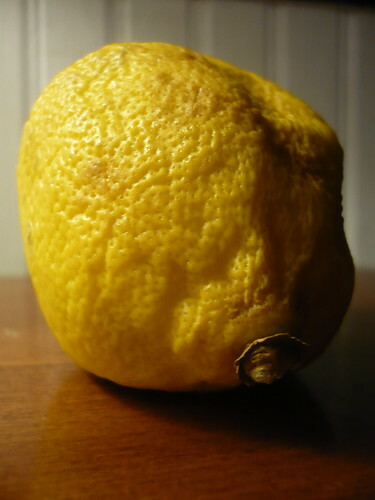 This lemon hid in the back of my fridge for far longer than I could even keep track of. I can remember seeing it rolling about on multiple occasions, never seeming to actually develop mold. It did get all puckered and wrinkly, so I’m calling that close enough. 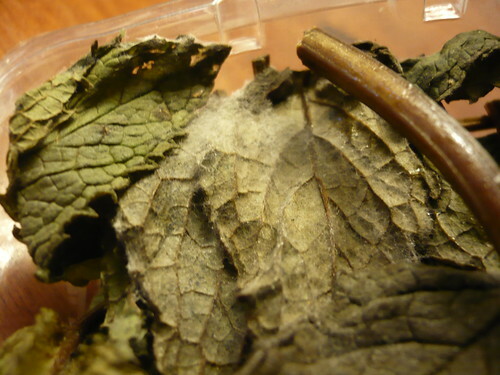 You are currently browsing the Moldy Snack blog archives for May, 2007.